BUY THREE BOXES OF BOBWHITE CARDS… AND GET A FOURTH BOX FREE! Whistle up a smile – send your friends BobWhite Cards! Is it difficult for you to find Christmas cards and note cards that reflect your love of the outdoors? Look no further! This holiday season send BobWhite Cards! 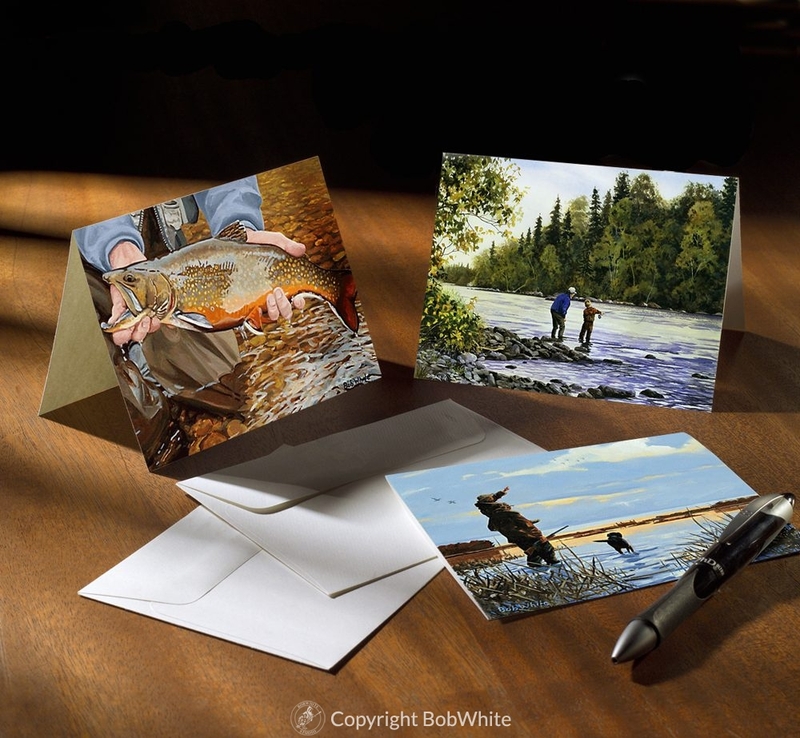 All of our cards feature the fly fishing, wingshooting and rural American artwork of BobWhite. With over 70 different sporting images to choose from, you’re sure to find just the right cards to send to your friends. Have something special you’d like to say? We can imprint your cards with anything you’d like, and your envelopes with a return address. Would you like to do something a bit different this year? Imprint any of our cards and make them into your personal or corporate Christmas card. BobWhite Cards are wonderful stocking stuffers – treat your hunting and fishing buddies to a box! Receive a 25% discount on all purchases of 4 or more boxes of note cards or holiday cards. This sale is valid through Sunday, January 4, 2017.